A British Legion Function. See note below. Photo courtesy of David Nicholls. 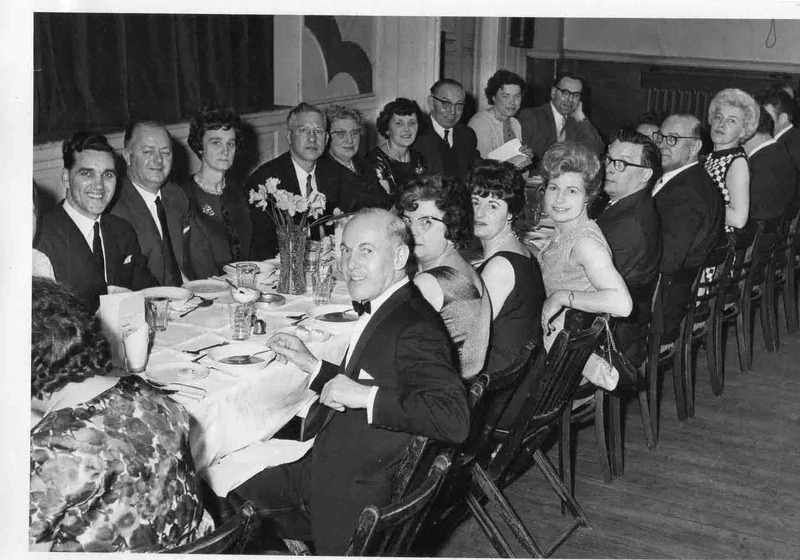 Although there are at least 7 Killamarsh Co-op employees on this photo, I think this was a British Legion function. Mr and Mrs Harry Marshall, Mrs and Mrs Wallis Marshall. Front row: Mrs and Mrs Clarence Hill, Shirley Jackson (nee Hill), Ethel Robinson, Leslie Jackson, William Clark, Barbara Pashley (nee Thornelow).